Robert Herjavec (/hərˈdʒɑːvɛk/; Croatian: [xěrjaːʋet͡s]; born September 14, 1962) is a Canadian businessman, investor, and television personality. A native of Varaždin, Croatia, he moved to Halifax, Canada after living and working on a farm with his family. After spending his youth in the relative middle class, he gained admission to the University of Toronto where he graduated with a double degree in political science and English. He began his business career as a film producer and director before joining Logiquest selling IBM mainframe emulation boards. Herjavec eventually rose in the ranks to become general manager, but he left soon after he founded his first company. BRAK Systems, a Canadian integrator of Internet security software, was founded from the basement of his home, and later sold to AT&T Canada in 2000 for $30.2 million. His rapid success in business and connection to television prompted producers to feature him on investing reality shows, such as CBC Television series Dragons' Den, and eventually ABC's version of the series, Shark Tank; he dispenses investment advice and acquires stakes in start-up companies along with his co-stars, Mark Cuban, Lori Greiner, Daymond John, Kevin O'Leary, and Barbara Corcoran. He has written various books on advancing in business including, Driven: How to Succeed in Business and Life (2010) and The Will to Win: Leading, Competing, Succeeding (2013). Herjavec was born in 1962 in Varaždin, Croatia (formerly Yugoslavia), and grew up in Zbjeg. In 1970, at the age of eight, the family left the country, which had previously incarcerated Herjavec's father for speaking out against the regime. According to Herjavec, "He’d drink a little too much, say bad things about Communism, and got thrown into jail 22 times for being an anti-Communist." Herjavec's family arrived in Halifax with a single suitcase and only $20. The family eventually settled in Toronto, where they lived in the basement of a family friend's home for 18 months. For Herjavec, who spoke no English, the transition proved difficult. Having grown up on a farm and raised by his grandmother among neighbours with similar lifestyles, he now found himself in a much poorer economic class than his neighbours. Herjavec's father got a job in a Mississauga factory, making $76 a week—or $464.26 adjusted for inflation, in 2015. Herjavec cites his father, whom he describes as "a really, really tough guy", as a major influence in his life. Herjavec has described a seminal memory of his, when he came home one day to complain to his mother that his classmates were making fun of him. His father who used to walk to work to save money on bus fare, came home, and when he heard what his son described, instructed his son never to complain, which became a guiding principle in Herjavec's life, one which he says sparked his sense of perseverance. Another influential episode in his youth came when Herjavec's mother was persuaded by a travelling salesman to buy a vacuum cleaner for $500, which was seven weeks' salary. As a result, Herjavec swore his family would never be taken advantage of again. In 1984, Herjavec graduated from New College at the University of Toronto, with a degree in English literature and political science. To make a living and help support his family, Herjavec took on a variety of minimum wage jobs in the 1990s, such as waiting tables, delivering newspapers, retail salesman, and collection agent. Herjavec's first career was in film at an early age. He quickly moved behind the camera in various production roles. Herjavec worked in several productions as a third assistant director, including Cain and Abel and The Return of Billy Jack in the mid-1980s. His early film career culminated with the position of field producer of the XIV Winter Olympic Games in Sarajevo, Yugoslavia for Global TV. Looking for work in between productions, Herjavec applied for a position at a company called Logiquest selling IBM mainframe emulation boards. He was underqualified for the position, but convinced the company to give it to him by offering to work for free for six months. To pay the rent during this "free" period, Herjavec waited tables. He eventually rose in the ranks to become general manager of Logiquest. In 1990, after being fired from Logiquest, he founded his first company, BRAK Systems, a Canadian integrator of Internet security software, from the basement of his home. BRAK Systems was sold to AT&T Canada in March 2000 for $30.2 million. After a three-year retirement as a stay-at-home father to his three children, Herjavec founded Herjavec Group in 2003, a security solutions integrator, reseller and managed service provider, of which he is currently the CEO. Herjavec Group is one of Canada's fastest-growing technology companies and the country's largest IT security provider, according to the Branham Group. Herjavec Group (THG) has grown from three employees in 2003 to 150 employees as of 2013, with a 643% growth rate from 2007–2012 and sales from $400K in 2003 to over $125 million in 2012. The company has done over $500 million in sales. Herjavec has appeared as a regular on the Canadian CBC Television series Dragons' Den (seasons 1 to 6), and in the United States on ABC's version of the series, Shark Tank, where business pitches from aspiring entrepreneurs are presented to a panel of potential investors. Herjavec has won three Gemini Awards as part of Dragon’s Den for Outstanding Reality Show in Canada. Herjavec presented awards at the 2013 Creative Arts Emmy Awards and the 2013 Mr. Olympia contest. On February 24, 2015, Herjavec was announced as one of the contestants for season 20 of the reality series Dancing with the Stars. His partner was Australian dancer (and eventual wife) Kym Johnson. On May 5, 2015, during a double elimination, Herjavec and Johnson were eliminated and finished in 6th place. Herjavec is the author of two books, Driven: How to Succeed in Business and Life (2010) and The Will to Win: Leading, Competing, Succeeding (2013). Driven is organized by the work and life principles that made Herjavec both wealthy and successful, while The Will to Win delivers life lessons that promise to guide readers to greater happiness and success. "The Will to Win" is also the name of public presentations that Herjavec has given, which feature his advice to businesspeople, based on his life experiences. Herjavec's most recent book, which was released on March 29, 2016 entitled You Don't Have to Be a Shark: Creating Your Own Success. In December 2017 Robert and Kym announced that they were expecting their first child together. The couple later revealed they were expecting twins. The twins, a boy and a girl, were born on April 23, 2018 at 7:44am and 7:45am, named Hudson Robert Herjavec and Haven Mae Herjavec. Herjavec sued an ex-girlfriend for extortion in mid 2017 and was counter sued for sexual assault. Both suits were dismissed in mid 2018. The allegations against Robert were withdrawn without financial settlement, and the woman apologized to Robert and his family. Herjavec owns a home in the Bridle Path, Toronto area. The mansion has been host to luminaries such as Michael Bublé, John Travolta, Mick Jagger, and Bono. Herjavec paid $7.5 million for the mansion, which has been featured on MTV Cribs and on Joan Rivers' TV show How'd You Get So Rich?, and the Rolling Stones' tour video. Herjavec also has several other vacation homes. A passion of Herjavec's is car racing, and he competes in the well-known Ferrari Challenge. Herjavec competed as #007 for The Herjavec Group Racing team in the North American Ferrari Challenge Series, where he won the Rookie of the Year title in 2011, after winning both races at the season-opener in St. Petersburg, Florida and following up with wins in Laguna Seca and Lime Rock, Connecticut. In 2012, Herjavec was selected to be the Grand Marshal for the 2012 Honda Indy Toronto. He is also an avid car collector with several rare cars in his collection. Herjavec is an avid golfer and runner. He has played in the 2010 Canadian charity open sponsored by RBC at the St. George’s Golf club. He has also competed in the 2011 New York marathon and the 2010 Miami marathon. He is a certified SCUBA diver (PADI) and a motorcycle enthusiast (owning several racing Ducatis). Herjavec is a major donor to the Union Gospel Mission homeless shelter in Seattle, Washington. ^ Siegel, Melissa (17 June 2016). "IS ROBERT HERJAVEC'S NET WORTH HIGH? YOU BET! KYM JOHNSON AND HER FIANCÉ WILL SPARE NO EXPENSE ON THEIR LAVISH WEDDING PLANS". HollywoodTake.com. Retrieved 22 June 2016. ^ Weigle, Lauren (16 March 2015). "Robert Herjavec – ‘Dancing With The Stars’ 2015 Contestant". heavy.com. ^ a b c d "Robert Herjavec". Inside Philanthropy. Retrieved 10 May 2015. ^ a b c d e f Kopun, Francine (March 16, 2010). "Robert Herjavec: The nice Dragon". Toronto Star. ^ a b c d e f "Exceptional magazine: Americas edition, July 2013". Ernst & Young. July 2013. Retrieved May 9, 2015. ^ a b S., Z. (25 February 2015). "Kanadski Hrvat u 12 godina zaposlio 250 ljudi, 'težak' je 200 milijuna dolara" [Canadian in 12 years employed 250 people, 'worth' $ 200m]. CroExpress (in Croatian). Retrieved 13 May 2015. ^ a b c Mielach, David (26 February 2012). "'Shark Tank' Judge Herjavec on Living the American Dream". Business News Daily. ^ Weigle, Lauren (March 24, 2015). "Robert Herjavec Height & Age – ‘Dancing With The Stars’ Contestant". heavy.com. ^ "Before Robert Herjavec Was a Shark". Fortune. Retrieved 2017-04-22. ^ "Robert Herjavec to Deliver Keynote Speech at CIOsynergy New York". PRWeb. 6 September 2013. Retrieved 6 May 2015. ^ "Robert Herjavec Success Story - Rags to Riches". Business News Daily. Retrieved 6 May 2015. ^ a b "Alumni Portraits: Robert Herjavec". University of Toronto. Retrieved May 9, 2015. ^ "CPI Inflation Calculator". data.bls.gov. Retrieved 24 January 2018. ^ a b Feloni, Richard (7 May 2015). "'Shark Tank' investor Robert Herjavec explains how to know you should quit your job and become a full-time entrepreneur". Business Insider. ^ Weigle, Lauren (5 May 2015). "'Dancing With the Stars' Contestant Robert Herjavec Net Worth". heavy.com. ^ "Robert Herjavec: Top 10 tips for budding entrepreneurs". CBC News. Retrieved 9 May 2015. ^ "Global Information Security Leader - Herjavec Group". Herjavec Group. Retrieved 6 May 2015. ^ "Top 10 Canadian ICT Security Companies". Branham Group Inc. Retrieved 9 May 2015. ^ "108 The Herjavec Group Inc". Profit. Retrieved 9 May 2015. ^ Benzine, Adam (September 1, 2011). "'Dragon's Den' victorious at Geminis". Realscreen. Retrieved 3 October 2013. ^ Friend, Rupert (10 September 2013). "Creative Arts Emmy Presenter List Grows". Academy of Television Arts & Sciences. ^ Sher, Lauren (2015-02-24). "'Dancing With the Stars' 2015: Season 20 Celebrity Cast Announced". ABC. Retrieved 2015-02-24. ^ Kubicek, John (May 5, 2015). "'Dancing with the Stars' Results: A Huge Double Elimination". BuddyTV. Retrieved May 9, 2015. ^ Mac, Amber (12 November 2013). "How Shark Tank's Robert Herjavec Kills The Competition—With Kindness". Fast Company. ^ "This week's bestsellers in Canada". Toronto Star. 3 May 2013. Retrieved 6 May 2015. ^ Smith, Jordan (15 January 2015). "Robert Herjavec of 'Shark Tank' to Give Keynote Presentation at Catalyst Americas 2015". Business Wire/Yahoo! Finance. ^ "New Book Announcement! You Don't Have to Be A Shark". 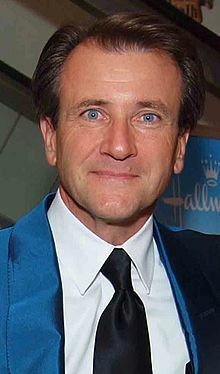 Robert Herjavec. ^ Dodd, Johnny (18 March 2015). "Shark Tank's Robert Herjavec: I Thought About Suicide After My Marriage Fell Apart". People. Retrieved 9 May 2015. ^ Nahas, Aili (2 March 2016). "Shark Tank's Robert Herjavec Opens Up About Meeting Fiancée Kym Johnson After His Painful Divorce and Suicidal Thoughts: 'It Was Like a Ray of Sunshine'". People. Retrieved 14 March 2016. ^ Steiner, Amanda Michelle (4 March 2015). "Shark Tank's Robert Herjavec Legally Separated from Wife of 25 Years". People. ^ Weigle, Lauren (16 March 2015). "Diane Plese, Robert Herjavec’s Wife – ‘Dancing With The Stars’". heavy.com. ^ Bach, Nenad N. (15 January 2010). "Robert Herjavec Croatian-born Canadian entrepreneur, businessman and TV star". Crown Croatian Royal Network. Retrieved 6 May 2015. ^ Weiss, Matthew Cole (September 14, 2015). "Kym Johnson and Robert Herjavec Dating". People. Retrieved December 13, 2015. ^ Nahas, Aili (February 27, 2016). "Kym Johnson and Robert Herjavec Engaged". People. Retrieved March 2, 2016. ^ "Dancing with the Stars' Kym Johnson and Robert Herjavec Are Married!". Retrieved 24 January 2018. ^ "DWTS' Kym Johnson debuts her bump as she announces she's pregnant with her first child with Robert Herjavec... and even baby gives the 'thumbs up'". DailyMail. 11 December 2017. ^ "Robert Herjavec on Twitter". Twitter. Retrieved 2018-04-24. ^ "'Shark Tank' star Robert Herjavec's ex-girlfriend claims he repeatedly raped her". The Hamilton Spectator. 9 November 2017. ^ Weigle, Lauren (April 6, 2015). "‘Dancing With the Stars’ Contestant Robert Herjavec Net Worth". Heavy.com. ^ Kelly, Deirdre (12 May 2006). "The BIG white house". The Globe and Mail. Retrieved 6 May 2015. ^ "Driver Profile: Robert Herjavec". Corse Clienti: Season 2014. Ferrari.com. Retrieved 9 May 2015. ^ Cooper, Scott J. (1 February 2015). "Shark Tank Robert Herjavec: The Blue-Eyed Shark" Archived 2015-05-18 at the Wayback Machine. World Patent Marketing. ^ TheStar.com: Robert Herjavec's exotic car collection. Toronto Star/YouTube. 17 August 2008. Retrieved 9 May 2015. ^ Hetzel, Megan (4 March 2015). "'Shark Tank' Star Robert Herjavec Talks Running and Dancing". Runner's World. ^ Rojas, Kelly (25 September 2014). "Robert Herjavec – Ambition, Speed, Instinct… Shark". Chic Metropolitan. ^ Scarfone, Lucas (12 January 2012). "Herjavec Ferrari + Ducati Shoot". Scarfone Photography. ^ Brodeur, Nicole (February 22, 2019). "'Shark Tank' star Robert Herjavec owes a debt of gratitude to a homeless shelter in Seattle". The Seattle Times. Retrieved February 22, 2019. ^ "The Diamond Jubilee Medal". Toronto: Prime Minister of Canada. 12 January 2013. Archived from the original on 5 October 2013. Retrieved 9 May 2015. ^ "PROFITguide.com". Profit. Retrieved 9 May 2015. ^ "2015 Branham300 – Canada's Top Tech Companies". Branham Group Inc. Retrieved 9 May 2015. ^ "CDN - Canadian VAR, reseller and IT integrator channel resources - Computer Dealer News". Computer Dealer News. Retrieved 6 May 2015. ^ "Technology News For Solution Providers And The IT Channel - CRN". CRN. Retrieved 6 May 2015. Lagorio-Chafkin, Christine (11 June 2012). "Shark Tank's Accidental Entrepreneur: Robert Herjavec". Inc..